It is the major caption on the front pages of Nigerian national dailies this morning. Some read, "...Card Reader Flops", The Guardian,"Frustrated by Card Readers, Jonathan still says"I"m hopeful, Sunday Vanguard, and "Card Reader Failure delays President's accreditation", ThisDay. The Independent National Electoral Commission, INEC, today said one of the reasons the card readers deployed for Saturday’s presidential and parliamentary elections failed was because its officials failed to remove the protective film on the lens of the equipment. The INEC Chairman had confirmed that about 400 of the devices failed to read the biometric data of voters who turned up to vote at various polling stations across the country. President Goodluck Jonathan was one of those unable to get accreditation with the electronic device when he turned up at his Unit 13 polling station in his hometown in Otuoke, Bayelsa State, to vote. For more than half an hour the electoral officials at the unit battled unsuccessfully to get the president accredited. Despite about four of the devices deployed to ensure that the president and his wife were accredited, he still ended up being accredited manually to vote during the exercise after being issued the INEC incidence form. But, speaking today in Abuja in a television program to review the conduct of the exercise, Kayode Idowu, the spokesperson to the INEC Chairman, Attahiru Jega, admitted that reports that the devices may have failed to function as a result of the not removing the the protective film on the face of the lens of the card reader may have been true. 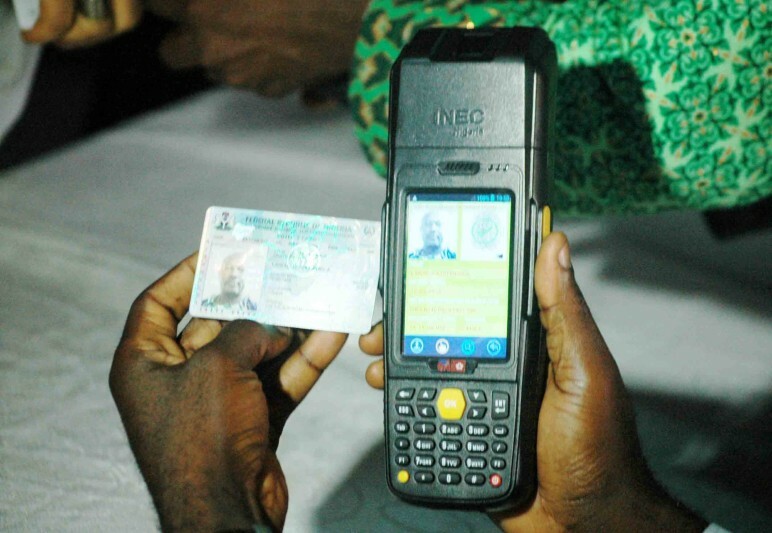 “We (INEC) received reports that some of the card readers may have failed to function, because officials that handled the devices may have failed to remove the protective film covering on the face of lens,” he said. He said the film may have blocked the lens of the card reader, making it difficult for it to read the biometric data in the permanent voters cards presented by voters for scanning”, Mr. Idowu added. The spokesperson, who agreed that there may have been other reasons said the cahallenges are noted and this will help to improve the process in the future.